Cut sugar pumpkin in half. Gut out seeds and flesh. Save seeds to roast! (Check out How to Roast Pumpkin Seeds). Butter a roasting pan with earth balance. Place two pumpkin halves face down on pan. Bake in oven for about 30 minutes or until pumpkin is soft and tender. Scoop out flesh and set aside. Whisk together dry ingredients (sorghum flour, brown sugar, baking powder, salt, cinnamon, pumpkin spice, baking soda). Add coconut oil. Mix until crumbly. Add eggs, fresh pumpkin, coconut milk and vanilla. Mix batter until smooth and creamy. 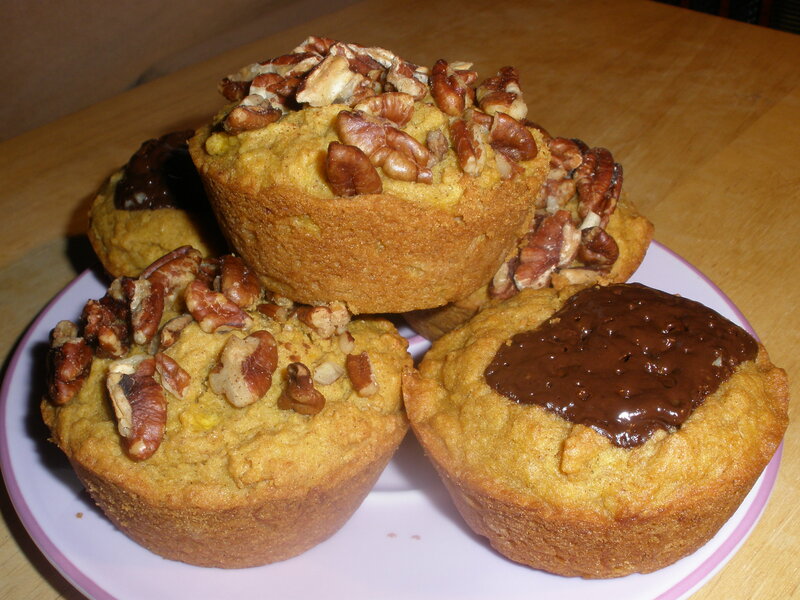 Pour batter into muffin pan. Smooth out tops with a spoon. Add topping of your choice! 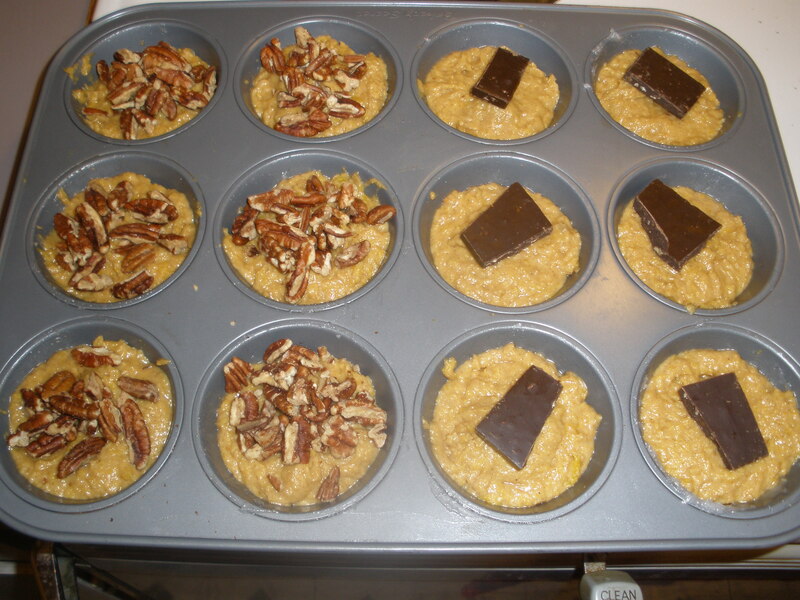 I did half a dozen with pecans, and the other half with dark chocolate pieces. Bake on 350 degrees for approximately 30 minutes or until golden brown and fluffy. although- 1/2 cup coconut oil and 1 tablespoon coconut milk? going to take a gamble and switch the two..? Well…. i accidentally put 1/4 cup of baking soda in instead of 1/4 teaspoon. They tasted like mouthwash. haha! But i’ll never do that again! Re-made them though but had to use canned pumpkin the 2nd round instead of my own. They came out good! Especially warm.